A group of former Taco Bell interns claim they came up with the $1 billion idea for a Dorito-shell taco nearly 20 years ago, and they have pictures to prove it. The group came up with the idea as part of a Taco Bell-sponsored contest during the summer of 1995, former intern Andrea Watt told Huffington Post's Jillian Berman. 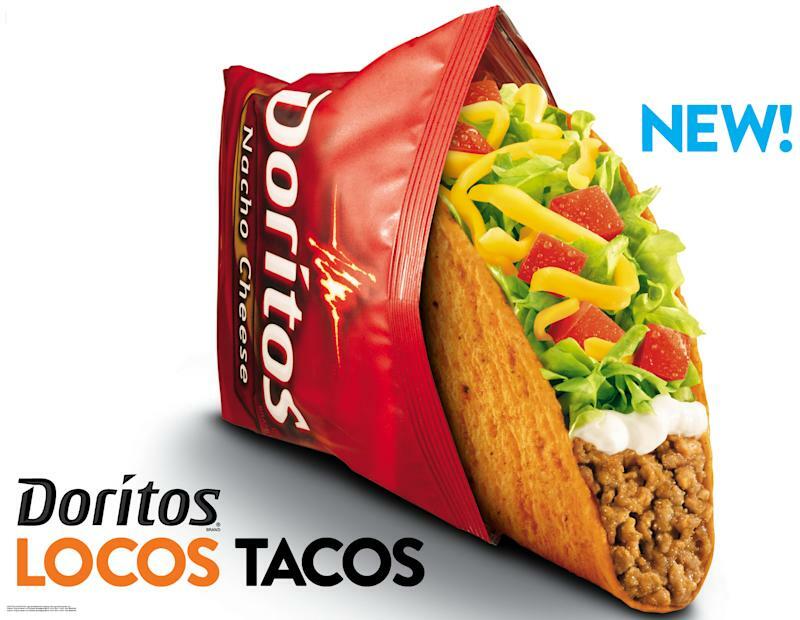 Taco Bell released a similar product — the Doritos Locos Taco — in 2012. The item is the most successful product in Taco Bell's history. "I’m sure I signed away that anything I pitched to them was their property anyway," Watt told Berman. "I would just like someone to recognize that it was a good idea." Watt provided Huffington with pictures of the four-member group holding a sign with the Doritos logo on it. She also provided photos of promotional materials that the group created for the product, which they called "Doritos Tacos," as well as a letter from a Taco Bell executive offering feedback on the idea. Watt said her group lost the Taco Bell contest and was told that the idea wasn't marketable. In an emailed statement to Business Insider, Taco Bell said its Doritos Locos Tacos were "created, developed — and successfully brought to market — by a hard-working collaborative team at Frito-Lay and Taco Bell." "Good ideas can come from anywhere, but an idea without execution does not make a successful product," Rob Poetsch, Taco Bell's director of public affairs and engagement, said. "The concept of making a taco shell out of Doritos may have come to people’s minds which is why we’ve had no shortage of those who have claimed it was their idea." A federal inmate sued Taco Bell last year, claiming the company stole his idea, and an Arkansas dad also tried to take credit after he launched a 2009 Facebook campaign for a Doritos Taco.